Music is no doubt, food for the soul. And when it comes to classical Hindustani music, there’s a world of beauty to be discovered in the construction of the ragas and the consistency of the rhythm. LBB brings to you some of the best music schools to enroll with, in the city. One of the best schools in the city, big names like Kailash Kher were students here once a upon a time. It’s not easy to gain admission, they put each prospective student through a series of tests to ascertain the quality of their voice, and the aptitude they display. They also bring in musicians to instruct in a lecture and demonstration format, to give students a fair insight into the industry. You can take classes for the sitar, flute, harmonium, tabla here, as well as Hindustani vocals. Admissions open on May 9th, 2015. Offering classes in the sitar, tabla, vocals and sirod, this school is one of the oldest in the city. With a rich background of culture, and a fleet of seasoned musicians, they strive to maintain the standard of contemporary art. They have a permanent dance-drama group that performs regularly. They also have housing for students that aren’t residents of Delhi. Essentially a non-profit society, the Triveni Kala Sangam is one of the few centres in the city that teaches Carnatic music. Additionally, they also have painting and dance, so there’s all sorts of creative energy waiting to be taken in. They teach the tabla, the sitar and the flute, in addition to vocals. They provide short term courses in the tabla, harmonium and santor, as well as full-time degrees in a range of other instruments. An institute that operates under the aegis of the University of Delhi, this is one of the most well-known and organized centers for classical music. Among the most reputed music schools in Delhi, this place has produced talent such as playback singer Mohammed Rafi. 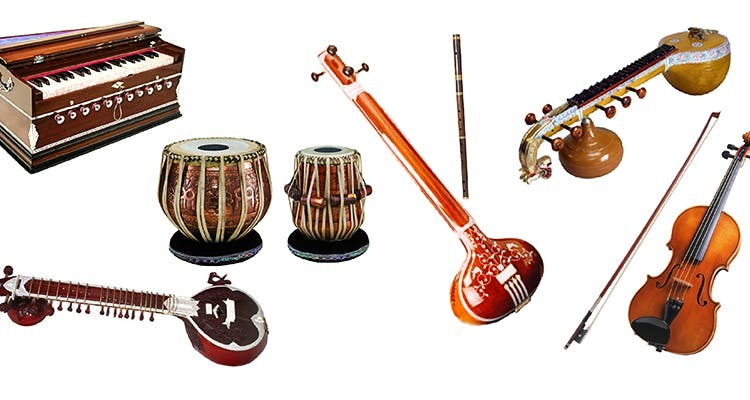 They offer tabla, dhola, dholak, sitar, harmonium and flute, as well as vocal training. They have a structured curriculum that they follow, and the earliest they start is at age 3. There will be a preliminary testing round though.